Wait. You’re running a splash photo of Oregon again? What gives? Well, aside from yesterday’s match up with Stanford being an absolutely crushing overtime loss for the Ducks (I ended up watching the entire game), the team again has done something new. 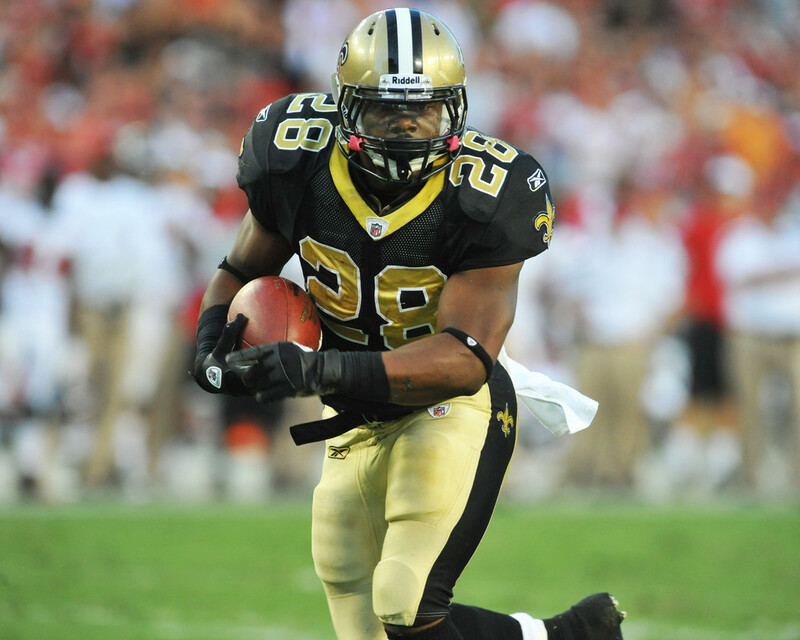 They repeated a uniform combination in the same season, a mere two weeks after wearing it the first time. I can’t remember the last time the Ducks wore the same combination twice in a season — it’s gotta be at least a decade if not longer. The team sported exactly the same mono-green set they wore in Week 2. Color me shocked. It was a good looking game (I may be one of the few who — if a team has to wear mono-dark, actually prefers their opponents go all-white). 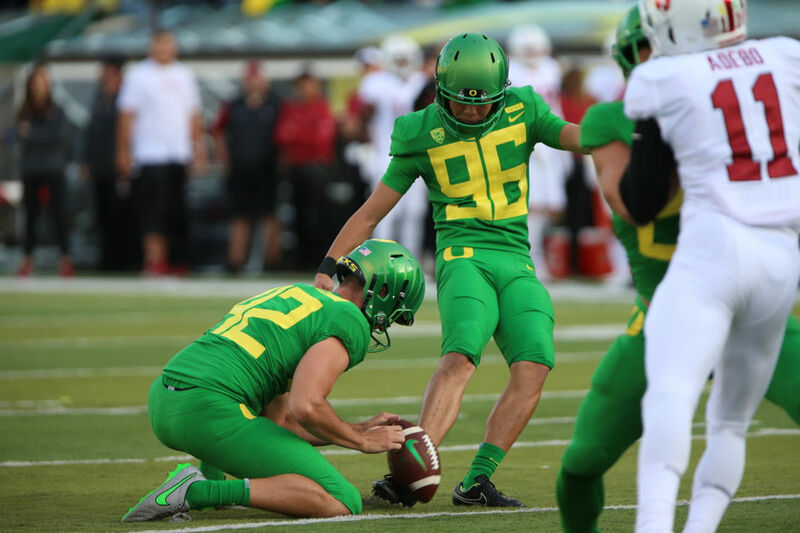 The Ducks have worn school colors three of their first four games, and they repeated a combo. This is some new uncharted territory, kinda. The team that invented going entire SEASONS without repeating a look has broken its own playbook. I don’t know whether to be surprised, shocked, pleased or bummed. But all “good” things must come to an end, and it appears the gimmick that launched an entire league of copy-cats is, if not retired, on hiatus for this season. I thought for sure they’d have mix/matched in either yellow pants or jerseys for this game. Nope. By the way, have I ever mentioned Oregon has really huge numbers? 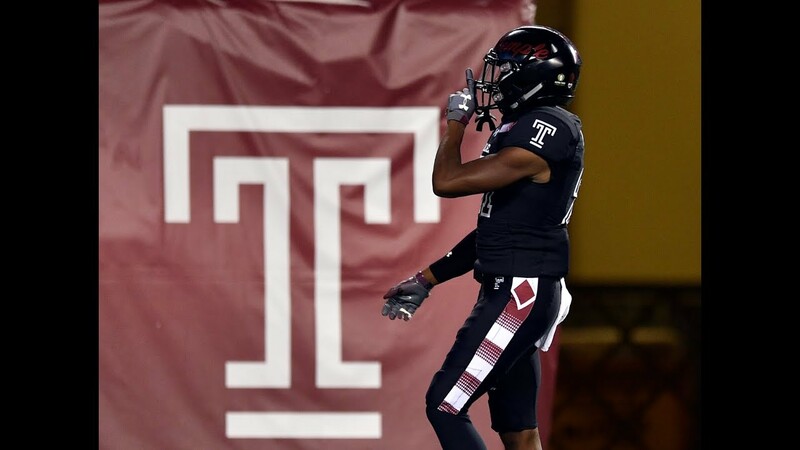 • I don’t use the terms “full-Vader” and “Stormtrooper” like I did years ago anymore, but I think it’s appropriate here: Temple went all-in with the Star Wars theme. It’s almost a shame that Tulsa didn’t play along and wear white pants. • Is it bad that Illinois does Syracuse better than Syracuse does Syracuse? 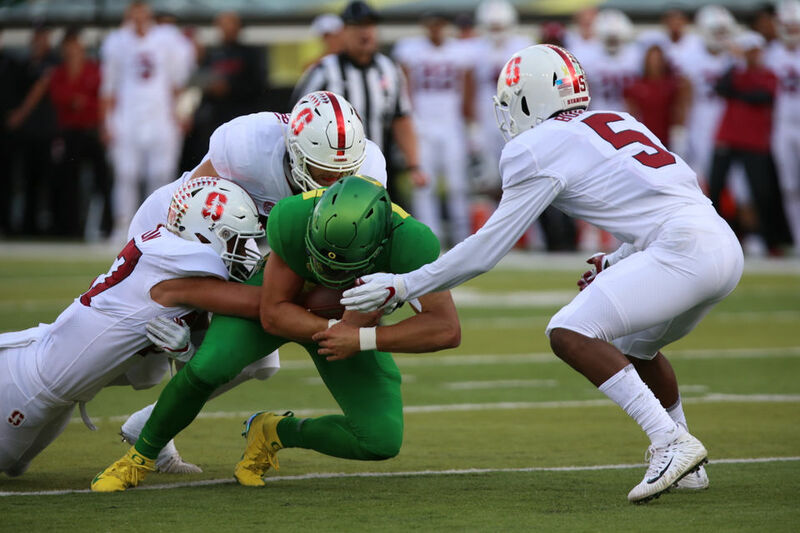 • Several teams over the last few days were wearing the Extra Yards For Teachers decals on their helmets, which you can find more info here (h/t to Colin Hass-Hill). Also, if you look at that helmet one more time, it appears that the helmet stripe is painted on? I could be totally wrong, however. • Notre Dame’s Golden Dome helmets (still the best lids in college football, IMO), were having some helmet color issues that were akin to the gold identity crisis that plagued the New Orleans Saints up until 2012. Rocky De La Rosa writes: “While watching the Notre Dame vs Wake Forest football game I noticed that players who are wearing the Vicis helmet for ND seem to have a brighter/deeper gold color than those with conventional shells who have more of a Vegas good color.”. Like mentioned before, it seems to be a thing mainly (if not exclusively) amongst the Vicis helmets. “Could this possibly be due to the softer shell type? May need further investigation.” All screenshots courtesy of Randall). • Remember that somewhat-weird captain’s ‘C’ placement on Texas’s uniforms from a couple of weeks back? I managed to get a close-up picture of it during the Texas/TCU game. Interesting how it’s on a jersey-colored square, instead of just a tackle-twill ‘C’. • Mizzou wore all-gold against Georgia, which included new gold helmets! Apparently, this is the first time the Tigers have ever worn gold helmets. • Virginia Cavaliers 3rd string QB Brennan Armstrong wears #98. • Iowa State wore ‘CBA’ on their helmets, sideline apparel, and most likely other areas that I’m missing in honor of Celia Barquin Arozamena, an Iowa State student and former golf champion who was murdered recently. • Kent State wore new “FlashFast” helmets. While the asymmetrical one number on the side is played out at this point, I LOVED the massive bolt on the left side. When your team name is the Flashes, why not have a little fun? • In a tackle attempt, Tulane Safety P.J. Hall only got a piece of Buckeyes WR Parris Campbell, if you catch my drift. • LSU wore their seldom-seen purple tops against Louisiana Tech. For context, LSU only wears the purple jerseys for home games against non-conference opponents, with the exception of the home opener, in which they wear white, no matter what. Additionally, this is the first time since 2015 that they’ve done gold/purple/gold (October 24th, to be exact). 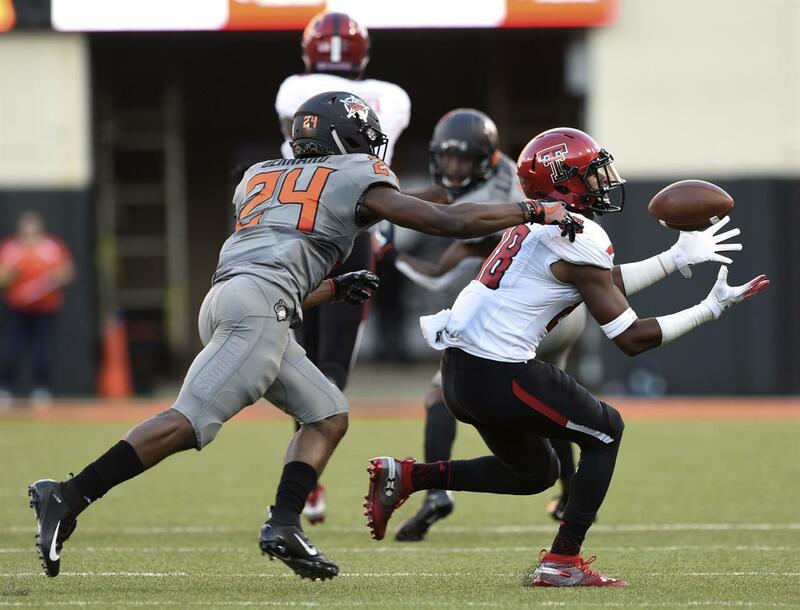 • Oklahoma State wore mono-grey for the first time in six years against Texas Tech. Y’know, for a team that normally looks pretty decent in grey accents, they were decent enough. I just wish that they WOULDN’T WEAR THEM AT HOME AGAINST A WHITE-JERSEY TEAM. What, did they take a page out of the Book of Memphis? • Behind the mask: in the Alabama/Texas A&M tilt, there was a facemask call against Texas A&M that resulted in Alabama’s Damien Harris’s facemask doing… well, a picture speaks 1,000 words. Also, when life throws you lemons, you make lemonade. And when lemonade is made, you make a shirt out of that lemonade (context for those out of the loop). • Mmm… Looks like fall football to me. Nice. • Maryland played Minnesota over the weekend. The Terps wore #74 decals in honor of Gophers lineman Nick Connelly, who passed away earlier in the week, as did the Gophers themselves (the bright green ‘NC’ on the left). Also note the ‘JM’ on the other side of Minnesota’s helmet, which is presumably for Maryland’s own Jordan McNair. • Oklahoma wore Thunderbird decals (although the closeup looks closer to a sticker to me) on the back of their helmets in recognition of the 45th Infantry Brigade of the Oklahoma National Guard, during their game against Army. • Hey, more FCS coverage! Not a bad thing, even though I generally cover FBS. Colgate turns 200 this year, and wore some sweet unis for the occasion against Lafayette. Also, in the promo for these uniforms, you’ll note that the ends of the sleeve stripes come at a point, instead of just being flat. Little things ‘n’ all. • And one more FCS nugget for you: Montana wore their copper retro-ish (I don’t know how to refer to them) alts against Sacramento State. That’ll do it for Week 4. Happy Equinox to you all, and I’ll see you next week. Thanks TJ! OK, now for the rest of your SMUW. 5) Georgia at Missouri — I have to admit, when I first saw this game, I had this pegged for the +1. But then, as things sometimes happen, it grew on me. Georgia always looks good on the road. But, I grew to really like the mono-gold Mizzou went with here. Actually made for quite the decent looking game. 4) Ohio at Cincinnati — Sometimes you come across games, while going through the day in college football, that catch your eye. This was one of them. Loved the Bobcats going white/white/green on the road, and it really matched up quite well against the red/black/red that the Bearcats went with. 3) South Alabama at Memphis — Another gem of a find while perusing through the games in the evening. Really like the blue/blue/grey of the Tigers at home here. Match that against the white/white/red of the Jaguars and you’ve got a fine-looking game on a Saturday night. 2) Kansas State at West Virginia — If you’ve followed my time here in this space, you know how much I love K-State’s uni’s. Simple, elegant, classic. They pair up tremendously against WVU’s blue/gold/blue look at home this week. An excellent-looking game for the eyes in Morgantown. 1) Nebraska at Michigan — Two traditional and iconic college football programs. Two classic uniforms. Easily the best looking game of the weekend according to me. Enjoy the rest of the first football Sunday of fall, and I’ll catch you all next week! In a surprise move, and in what might otherwise be considered a ‘news dump,’ late last evening the San Jose Sharks released a new third sweater. Like Friday’s Flames release, the only photos to accompany the press kit I received show the jersey only. Grrrr (although we do get a look at it in the hype video which follows). Nevertheless, like many of the other Adidas third jerseys, this one is déjà vu all over again. The Sharks’ new stealth sweater ties the team to its home base in the heart of Silicon Valley and establishes the Sharks as a “Team of the Future.” In collaboration with adidas, the Sharks set out to create an all-new look that pays homage to NorCal, embraces the tech culture of the region, and adds to the predatory nature of the team mascot with a sleek new black-on-black look. Fusing the future with the past, the sleeve stripes feature a digitalized circuit pattern that subtly incorporates a “SJ” pattern, while tonal shoulder patches are a throwback to the original patches worn from 1991-1997. Additional details include “This is Sharks Territory” is emblazoned across the interior neckline. Aside from the horrid corporate-speak and the ridiculous name, I have actually preferred the Sharks in their black jerseys. Of course, these were leaked earlier this year. NFL News: This is pretty cool: In the 2018 New York Football Giants media guide, they have three great pages showing their uni and logo history pages 310 through 312 (from Jason Gutierriez). … Franken-jersey alert: Ed Sheeran kicked off his two concerts at Met Life stadium this weekend wearing a half Giants/half Jets jersey (from Chris Flinn). Grab Bag: Hmmmm. Another possible logo-poach alert: Bet they didn’t get the Dallas Stars permission…or maybe they did: “This logo is being used in many locations in the hallways of my old high school in New Jersey, Toms River North,” says reader Kevin Clark. … Steve Davis on Twitter: “If you are watching Schalke-Bayern right now (Weston McKennie! 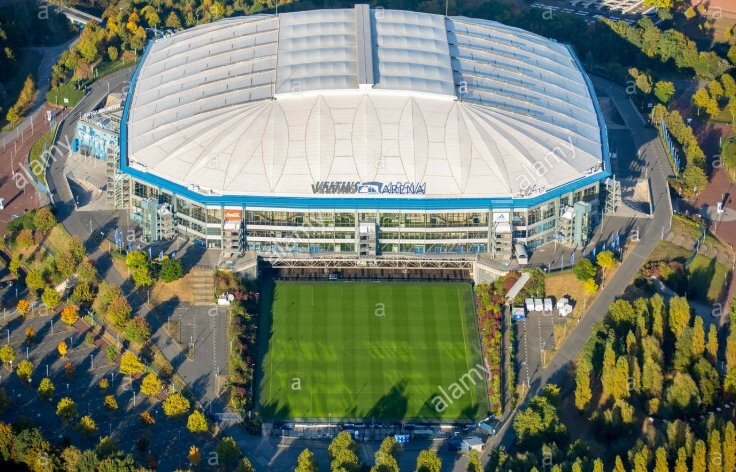 #USMNT) from the Arena AufSchalke in Gelsenkirchen (GER), you are seeing a match on a sliding, retractable field. Sits outside; moves inside for matches. Always curious, why not more of these in US? Submitter Josh Hinton adds, “This is very cool.” … New uniforms for Polish Men’s team Onico Warsaw (from Jeremy Brahm). 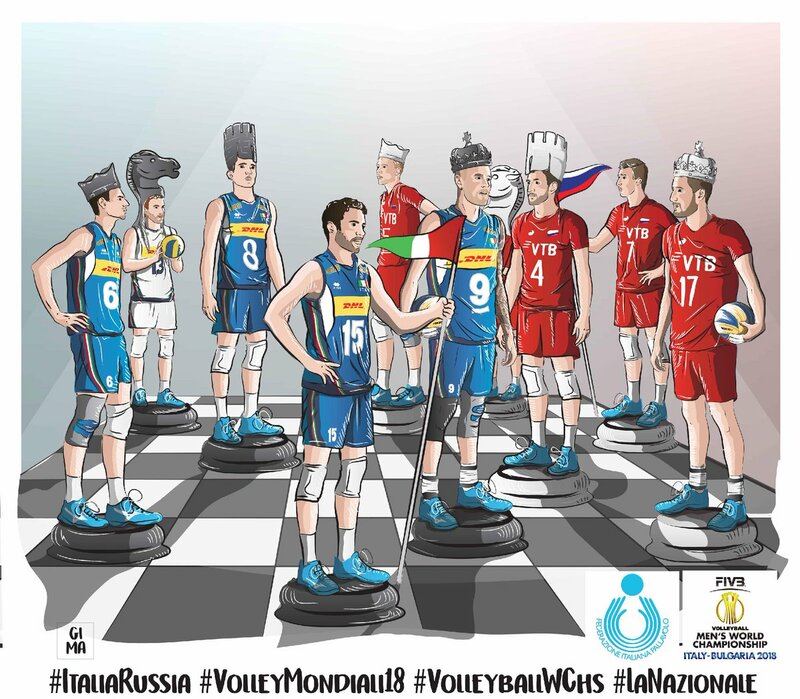 Also from Jeremy: the Italian Volleyball Federation has employed a cartoon artist for the men’s tournament and the detail is impressive. 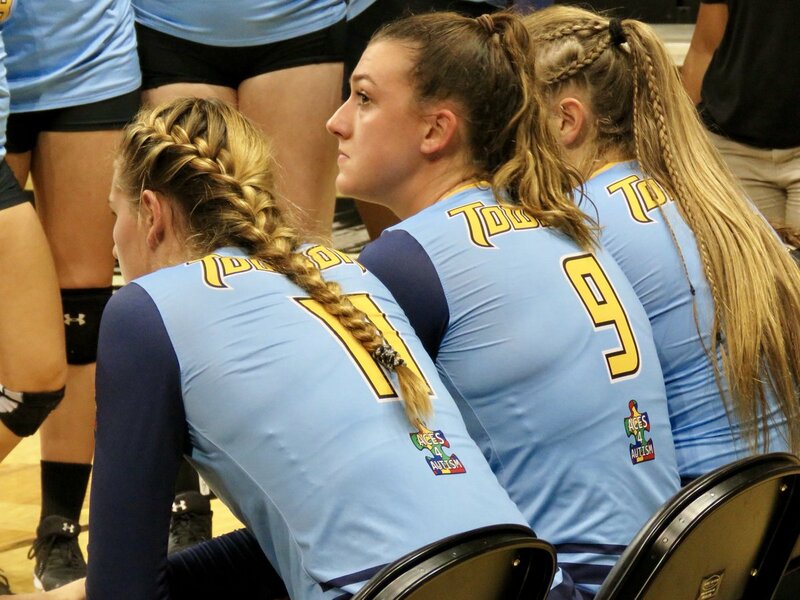 … After the second set of Saturday’s match against Northeastern, Towson University’s volleyball team switched from its white jerseys to blue Aces 4 Autism jerseys (from John Cannon). Oh hell yeah! Time for some college football uni tracking Canadian rules style! For the football where your slotbacks have to work on timing their waggle to the line of scrimmage at the snap of the ball for the offence to execute well. Some real wet and wild weather in Canada West conference this weekend. Aw, man! I love the Calgary White helmets. I’m a fan of their standard Red ones, too. I kinda liked their rounded numerals from a few years ago. 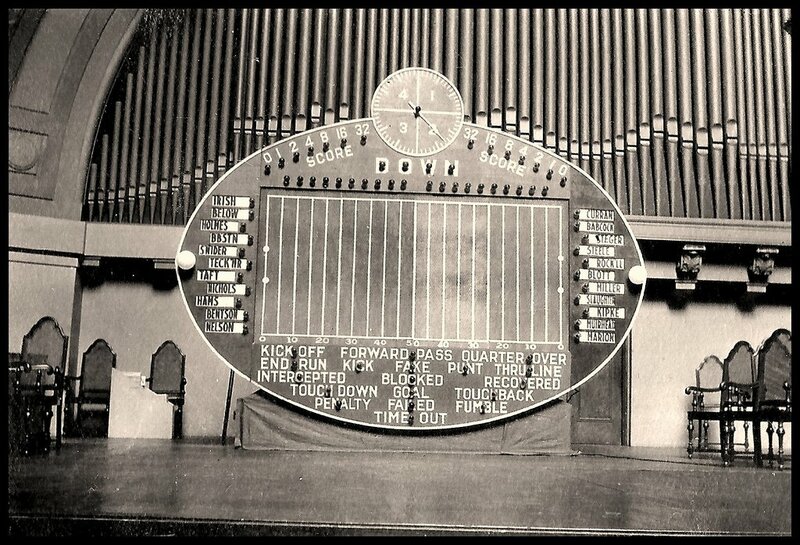 Mechanical scoreboards go back to the days when fans were expected to know basic math and get their team’s score from the “0-1-2-4-8-16-32” lights, and weren’t particular about how much time was left in each quarter. “The stripes now better match the sleeve stripes on the jersey.” The coercive tense, ladies and gentlemen. The detail on the volleyball cartoons is impressive, right down to the advertisers on the uniforms. Surprised Iowa State’s White pants didn’t make the 5 & 1. They looked very out of place and, well, WRONG. Like they just ran out of good ideas and gave up!!! At least they aren’t copying usc anymore. The Giants media guide features an error on that uniform listing. It’s shows white pants from 1976 to 1979, but it omits the blue pants the Giants wore with white jerseys from 1976 to 1978. Vicis needs to paint their helmets themselves due to the soft shells; they attempt to match the HydroGraphics finish of the non-Vicis helmets. I thought they succeeded in matching the color, but individual perspectives differ. 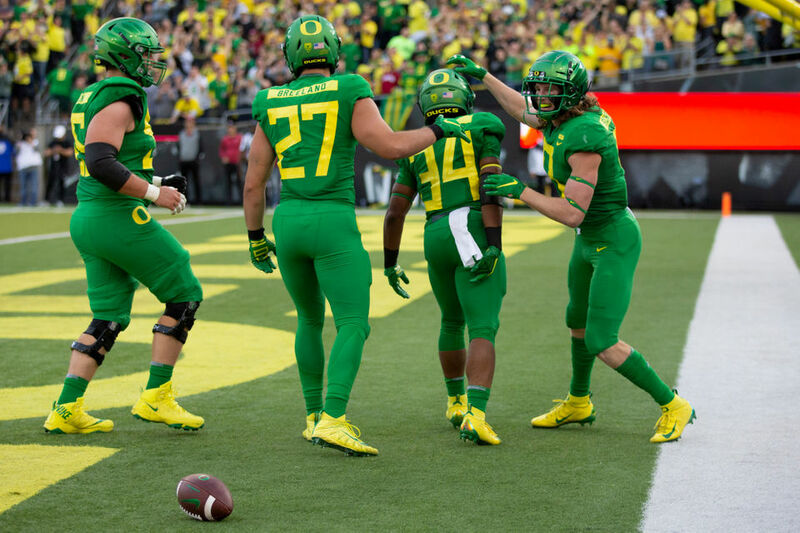 I don’t care about the Oregon uniforms but it seems like a site which has been pimping the Duck Tracker forever could quickly determine the most recent time the Ducks wore the same uniform twice in a season without much effort. Hi Stevie…Ducktracker here…the last repeat was week 1&12 of last season. But Phil is right that until last year it was a new combo every week during the Kelly and Helfrich years. What we really need is GUD-style year-by-year compilation of Oregon uniforms – all the uni combinations from a single season in a single image. This would simplify the look-up of their uni history a bit. I love the Rond Rock Express’ use of the Houston rainbow guts as a radial sunrise. Have the Astros ever overtly referred to that pattern as “tequila sunrise” as many fans long have? Interesting to see the connection made overt by the organization. If any organization could switch away from red, white, and blue, it’s the Round Rock Express. I’ve been to a few train museums lately thanks to having a train-obsessed nephew, and red-white-blue seems to be just about the least common color scheme for train engines and cars. Lots of dark steel, lots of silver, lots of orange, lots of monocolor red, green, maroon, fair amount of pastel. The Express could adopt the Astros’ colors, mix in silver as a dominant color, and look even more like the concept behind their nickname than they do. Plus, as much as my mental image of Nolan Ryan is in a Rangers uniform, there is this: https://www.gettyimages.com/photos/nolan-ryan-astros?family=editorial&mediatype=photography&phrase=nolan%20ryan%20astros&sort=mostpopular Really seems a missed opportunity to me for the Express to have stuck with its Rangers-esque color scheme when partnering with the Astros. Yeah, but I’m sure the team, with its proximity to both Arlington and Houston, wants to appeal to both Astros and Rangers fans, and taking on a look that is too much like the Astros of present or past may cut into merchandise sales. Probably. If I had to guess, I’d rank that the second most likely factor along with the possibility that team leadership just likes red and blue. But the Rangers are historically bad right now, and haven’t had a great century so far, whereas the Astros are in the midst of a run of historical greatness. MiLB teams can get away with relatively frequent color changes, so I’m not persuaded that there’s really any downside to going all-in on the Astros association now and for the foreseeable future. 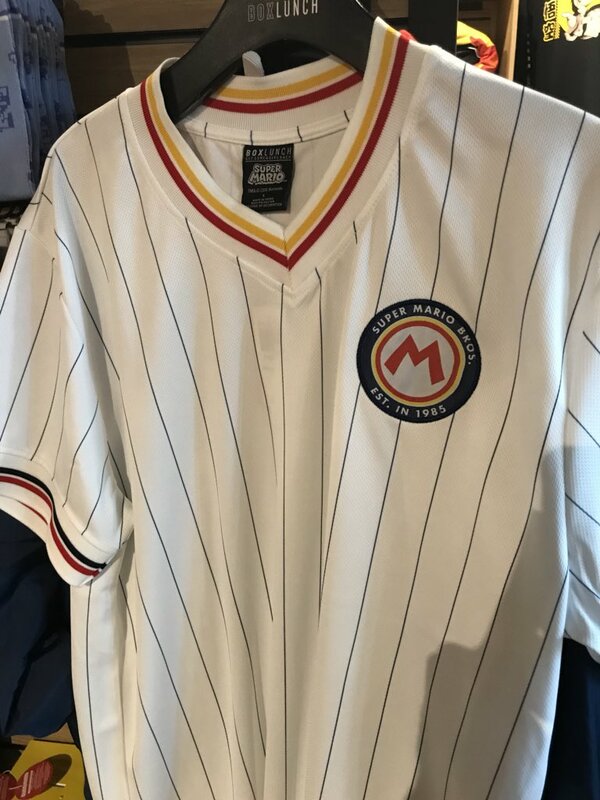 For every diehard Rangers fan who would say “no way!” to Astros-themed merch, there’s gotta be more than one Astros fan who would jump on the Astros-themed Express merch wagon. 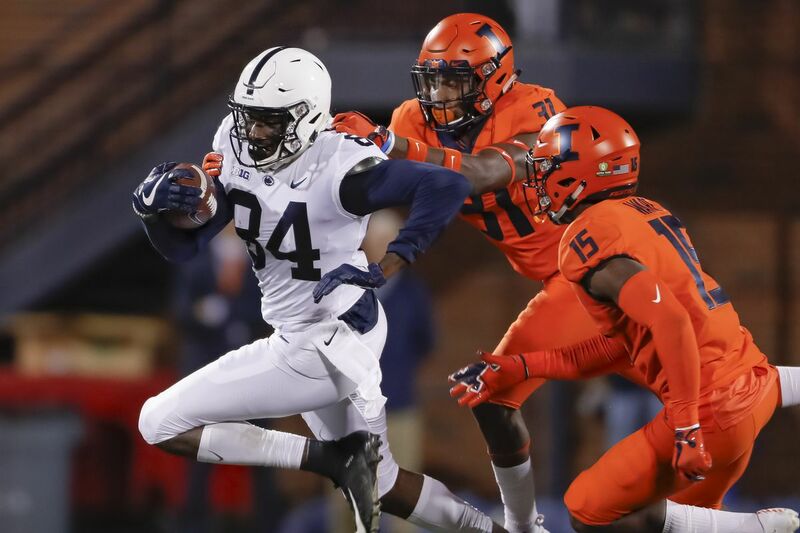 Can people PLEASe stop saying that Illinois is copying Syracuse? Illinois has been wearing orange and navy blue for a LOOOOONG time. So long, in fact, that Papa Bear Halas chose those colors for the Chicago Bears because they were the colors of the University of Illinois. Pleasantly surprised to see Ohio/Cincinnati and USA/Memphis both make the list. I also tend to like most of Appalachian State’s combos, very Hamilton Tiger-Cat like. The uniforms may not reflect it but I think both those schools call their official colors gold? It’s ATHLETIC GOLD. Just because you call that color yellow, doesn’t mean it’s incorrect. Next you’re going to tell me the colors of the Green Bay Packers are green and yellow? Nope. Oregon wears yellow. Those other teams (Stillers too) wear gold, or if you prefer, athletic gold, not yellow. But they wear do yellow. 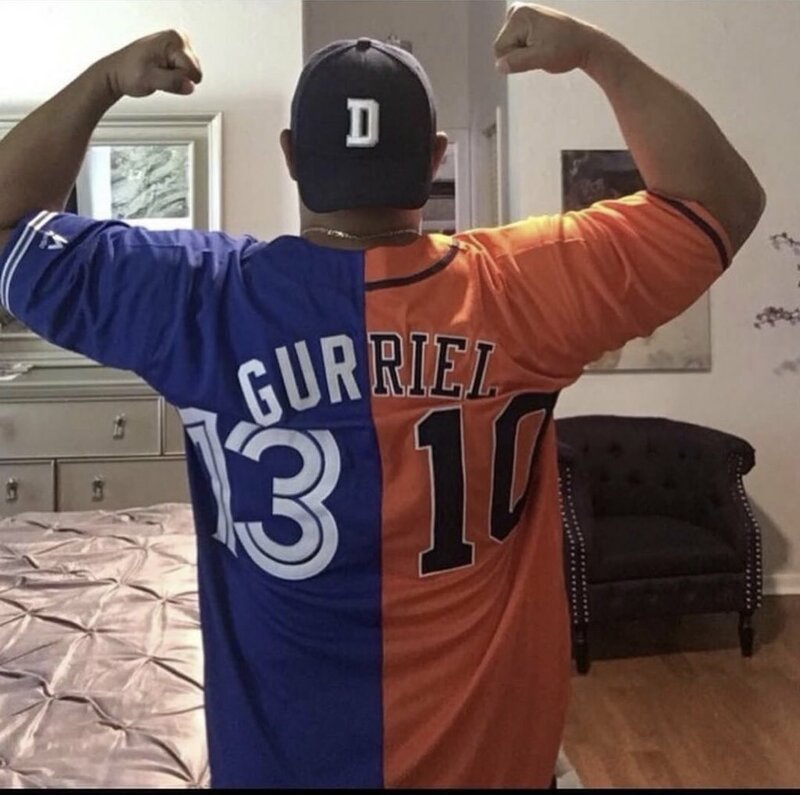 Both terms are correct, just as it’s correct to say that the Mets wear blue and that the Mets wear royal. Athletic gold is a name for a particular hue of yellow, which is a broader category of hues. What’s wrong is to say that athletic gold is not yellow, or that yellow is not athletic gold. The Lakers might call their color “Forum blue,” but that claim doesn’t falsify the true observation that the Lakers wear purple. The Packers might call their color “gold,” but that claim doesn’t falsify the true observation that the Packers wear yellow. Simple test: Where is the space on the natural color spectrum where any English speaker will say, “That bit is gold, not yellow”? If we can’t answer that in a way that will be universally accepted, then distinguishing strictly between yellow and gold is a false dichotomy. I don’t believe “Forum Blue” has been used in years. This was because the new owner, Jack Kent Cooke, didn’t like the name “purple” when they move down into the Forum and change day their colors from blue and white to purple and yellow (gold). Just because it looks yellow doesn’t mean that it is yellow. Don’t believe your eyes, believe what you are told. Wonder where I hear that before? Many teams wear yellow and call it gold. I believe the only team that doesn’t call it gold is Michigan, and they call it maize. 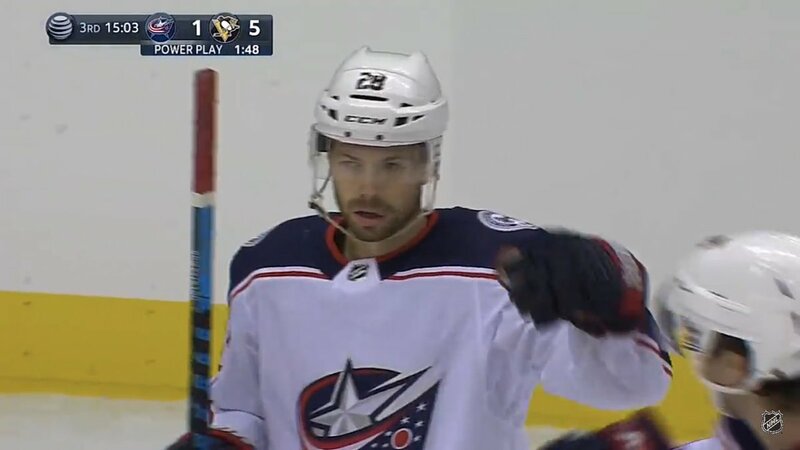 Paul made a big deal out of this last June when the Penguins and Predators (both teams with primarily yellow unis at the time) were playing in the Stanley Cup final. I think the most correct way to describe LSU and Missouri’s color is “yellow”, whereas “gold” is what teams like Notre Dame and the Saints wear. Having said that, I personally like to use the term “gold” to distinguish Missouri’s shade of yellow (which I find attractive) from a more lemon-yellow (which I find hideous). So I think there’s merit to that approach as well. 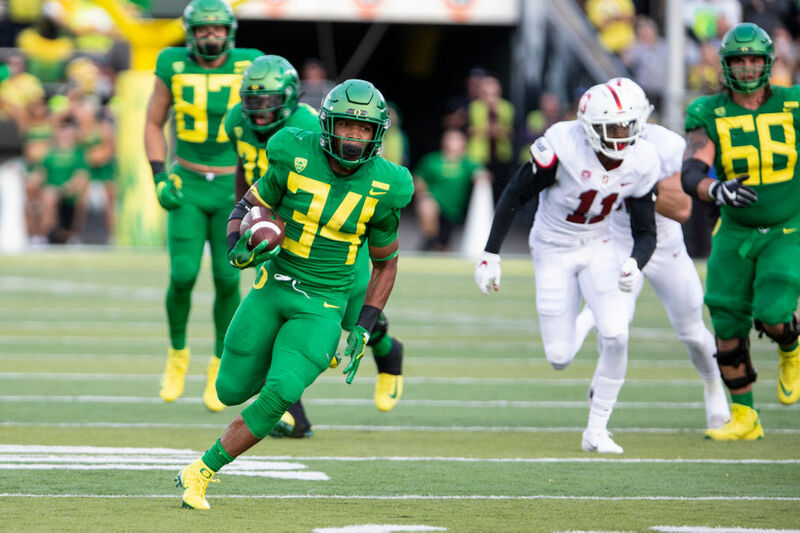 I guess I should appreciate the Ducks wearing school colors – but the BIG STUPID NUMBERS and the lame yellow nameplate make those unis clown suits. Regarding Cinn Bearcats – I love black jersey’s over red pamts. But the painfully awkward horizontal thigh stripes? *catastrophic apostrophe as bad as the stripes on the thighs. The University of Phoenix stadium (where the Arizona Cardinals play) has a retractable field… I think that the reason we don’t see more of them here in the U.S. is all of the ground area that is required. Now known as State Farm Stadium. And the fact that retractable domes really shouldn’t exist. Looking at that Sheeran Franken-jersey, I think maybe the only good thing to come out of the Jets getting new uniforms next year is that those god-awful retail-jersey sleeves will go away and possibly improve. I wonder if it’s a conspiracy by Nike to make the retail jerseys that bad in order to entice the team to abandon its traditional design. And, looking at the Giants’ uniform history is just another reminder that every New York team currently uses a traditional design, making the Jets a ridiculous outlier (and even more of a laughingstock) if they go full-clown-suit next year. Question: how long do teams own the copyrights to logos ? I ask because of the Ticker item about Toms River HS poaching the Dallas (sic) Stars logo. If they are poaching anything, the are poaching the Minnesota North Stars logo. Do the Baltimore Orioles still retain the rights to the St. Louis Browns logo ? Is there a point at which it becomes public domain ? It’d be trademark, yes? I think as long as they keep re-registering them. I really liked Illinois’ matte orange helmets and Arizona State’s matte yellow. Mizzou’s yellow? Not so much. 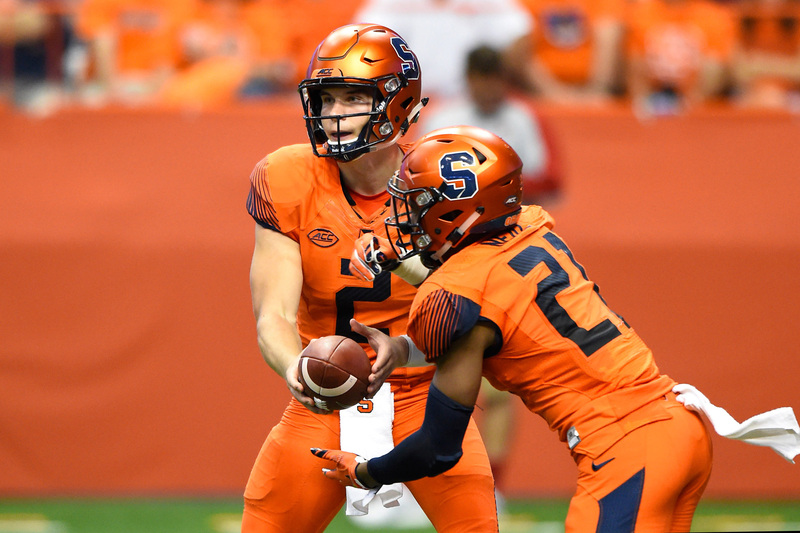 Syracuse should ditch the chrome orange. I also appreciate Oregon using school colors. I like being able to glance at the tv and immediately know who’s playing. I know this seems unnecessarily pedantic, (what is uni-watching without unnecessary pedantry?) 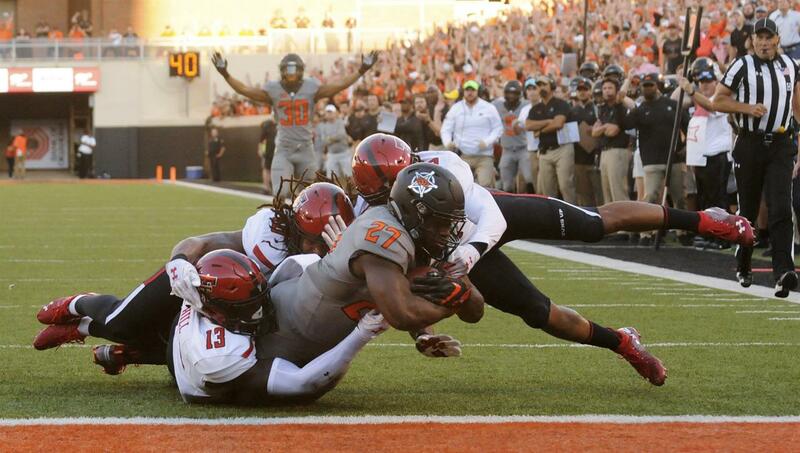 but Kansas has no stripes on any of their pants this season. Something for MMUW. Fox had a shot of Alex Smith throwing the football. 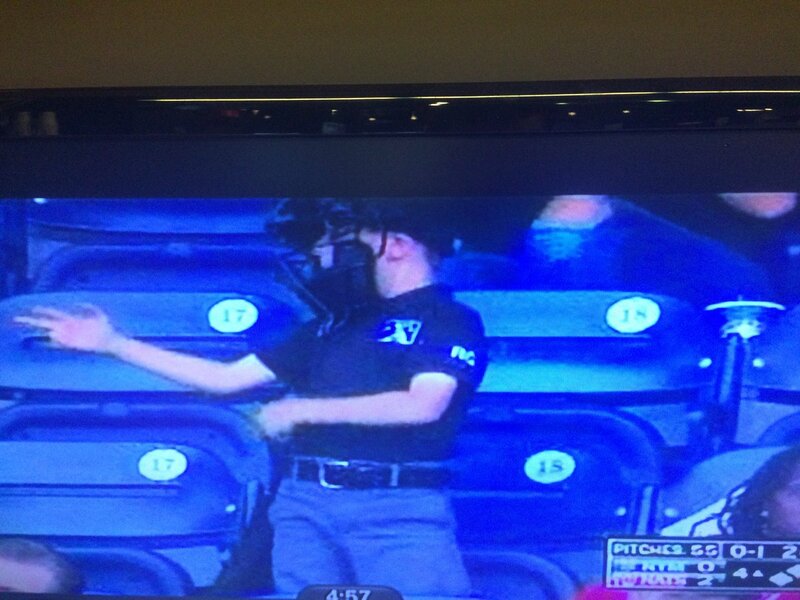 He was wearing an all-gold C patch. It’s only his first year with Washington. It seems that there might be a new policy. I’m thinking that if you are a captain for a team, and you go to a new team, it carries over to said new team. Except, as we already discussed on Friday, it didn’t work that way for Kirk Cousins, who’s now with Minnesota and has only one star. Might be a team-by-team basis. Give the Sharks credit for following the Jets with another simple-but-still-new-and-interesting 3rd jersey. I think the Sharks always look best in teal, but if they must go black, this isn’t a bad way to do it. My only gripe with the Sharks (their uni program as a whole, not specifically the new 3rd) is that they need to either own the orange and use it more prominently (my preferred choice) or get rid of it entirely. The tiny little accents on their primary jerseys just look pointless and silly. The Jags’ radio crew have already complained several times today about the Titans’ light blue jerseys and their hard-to-read numbers. SPOLIER ALERT! Some of us in the U.K. will record games due to time difference to watch the following day. Please could you avoid revealing the results / scores of games or provide a warning if you will?? I recorded the Oregon/Stanford game on BT Sport only to find out the result on this site. Disappointing. Sorry ’bout dat, but as long as Dennis has been doing the Duck Tracker (3 or 4 years now), he’s always included the score. I’d never say “Don’t Read Uni Watch” but if you’re going to be watching any more Ducks games, best to at least avoid that section. We don’t normally concern ourselves with final results (and rarely report scores), but in this regard, we do. Sorry about that old chap! I actually sent Phil a scoreless one since I wanted to at least send him files before midnight. And then after the game sent him the score version. I’ve followed the tradition of the previous duck tracker who put the score on. Its kinda helpful in the future when you look back and see how the teams did in each outfit. I even did a blog post a few years back about how badly the Ducks did in white/gray/silver/black (which they liked to wear in big games!) and how that tradition needed to stop. Just going to put this out there, but nothing says you have to come to Uni Watch before watching your recorded game. 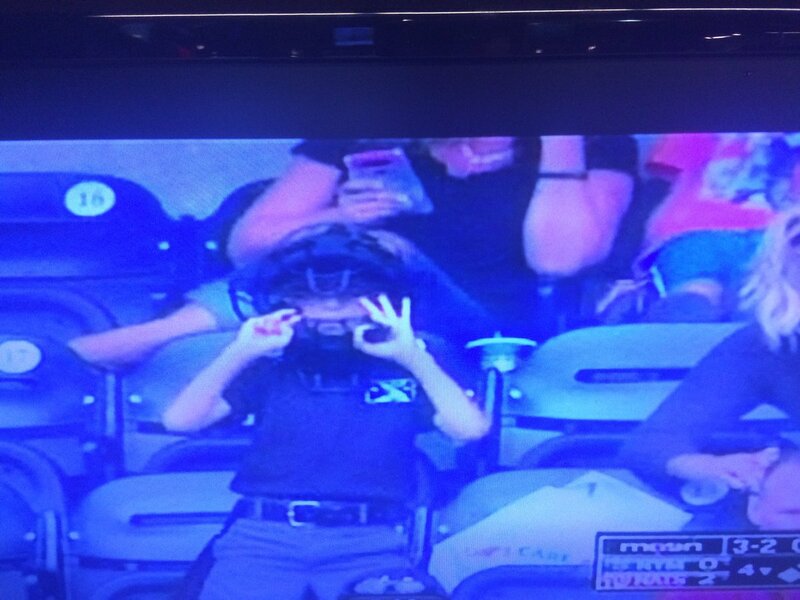 Tom Brady seems to have started tonight’s game with his newer helmet model and switched back after a couple series. No photos, but might be worth checking on. Colgate used the panel numbers on the back of their uniforms. Oregon stated when they debuted the 4 new sets that this is what they were wearing this year. No mixing and matching. They’re will be a one-off uniform at some point, but it will be mono green, yellow, black, or white the rest of the season.